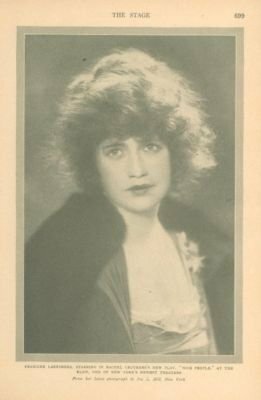 READ-A-RARITY: Rachel Crothers’ NICE PEOPLE (1921) | THAT'S ENTERTAINMENT! Welcome to another Wildcard Wednesday! Last week, I teased that something potentially related to Tallulah Bankhead was in the offing, and today is the magic day. 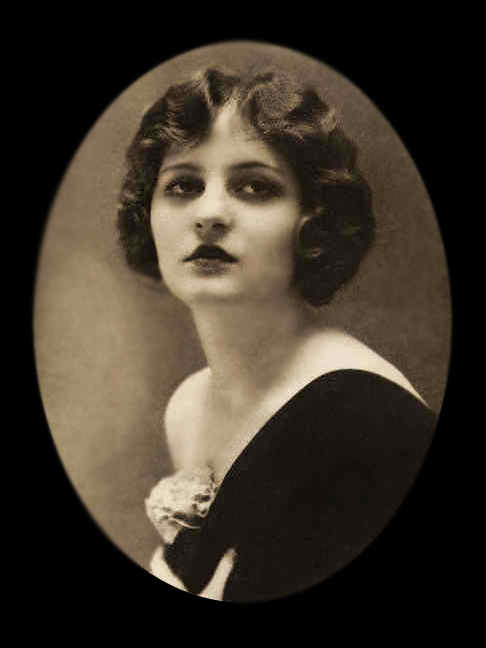 My busy schedule doesn’t leave me as much time as I’d like to read forgotten plays, but I’ve finally gotten around to examining Rachel Crothers’ 1921 hit, Nice People, which featured Tallulah Bankhead in one of her first successful productions. In today’s post, I’ll tell you a little bit about the play and what I thought. 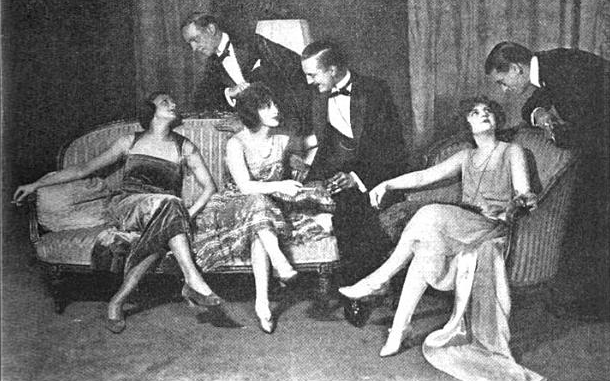 The first act opens with three 20-something girls, Theodora (Teddy), Eileen, and Hallie, who are preparing for a night out on the town with Scottie, Oliver, and Trevor. As they wait for Scottie, Hallie warns Teddy that Scottie is only interested in her because of her money. Eileen tells Teddy not to bother about what Hallie says; she’s been after Scottie herself for years. Meanwhile, we learn that both Oliver and Trevor have feelings for Teddy and would marry her if given the chance. Scottie finally shows up, just as Ted’s Aunt Margaret enters, followed by Ted’s father, who wishes the kids a good time. After they leave, Margaret chastises her brother for letting his daughter cavort about that way – surely Ted’s mom would be displeased. Margaret decries this new generation, for which her son valiantly gave his life in France. When Ted and Scott come back in to get a heavier coat, her father decides that she shouldn’t go out after all. Teddy is angry, but finally gives in and tells Scottie to go. But after her family leaves, she sneaks back out with him. The second act opens with Teddy and Scott breaking into the former’s country home. They deserted the group last evening and have spent the entire day together. They plan to return home this evening. Scottie and Ted discuss marriage, but the latter isn’t convinced that he loves her and not her money. Just as she’s about to leave, a big thunderstorm approaches, and they’re stuck in the house. Scottie, having had plenty to drink, falls asleep. As Ted waits, a man, named Billy Wade, enters looking for solace from the storm. He was on his way to town – he works for a very wealthy company – but was delayed. The two stay up talking, and Teddy decides to go up to bed, now that she feels safe with Billy downstairs. She asks him to be gone by the time she wakes up. The next morning, Ted’s father and aunt show up – shocked that the rumors are true: Teddy spent the night alone with Scottie. Scottie says it’s okay, they’re engaged. But Ted emphatically denies that – she doesn’t even love Scottie. Her father doesn’t care, and demands that she marry Scottie to avoid the disgrace. She refuses and he vows to disown her. A day and a half later, Margaret has been at the country house with Teddy, while her father stews in the city. Ted’s friends come over, after having heard all the gossip that’s been circulating about all of them. She confesses that she wasn’t even alone with Scottie – a man named Billy Wade was here. Nobody believes her, until Billy enters himself. They (except Hallie) begrudgingly admit that Ted was right. Later, Hallie makes a play for the brushed off Scottie, but Teddy decides that she’s going to cave and reunite with her father by marrying Scottie. Billy convinces her not to jeopardize her integrity by doing something that she doesn’t want to do, so Teddy decides to stay out at the country house and make it on her own. The third act takes place three months later. Teddy has been living out in the country – raising chickens with Margaret and Billy. Teddy and Billy are obviously in love, and Ted is having fun working hard and living simply. But Hallie has (despite her promise) blabbed about Ted’s claim that there was another man that night she and Scottie spent in the house, so Ted’s father comes out to the country to find out what’s going on. Meanwhile, Oliver and Trevor have come up to join Eileen. The men, still both in love with Teddy, are sure that, as the rumors say, Billy is only after Ted’s money. Eileen knows better however – and tells Billy that although she knows he’s not interested in money, that he’ll probably end up hurt when Ted decides to go back to her own life. Billy asks Ted if she misses her old life and she admits that she does – and she wants to reunite with her father so she can get money for Billy to realize his dreams. He storms away, and Ted and her father make up. But she’s not ready to go back to the city. She loves Billy, though he doesn’t want anything to do with her money. So to her dad’s great confusion, Ted proposes marriage to Billy – agreeing that they’ll be together without financial assistance. They end in each other’s arms. I was drawn to seek out this play, naturally, because of Tallulah. She played Hallie, the catty friend who has her designs on Scottie. 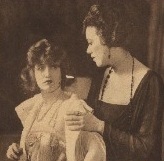 Other members of the original production included Katharine Cornell as the more sympathetic friend, Eileen, Robert Ames as Billy Wade, and Francine Larrimore as Teddy. I have not read any other Rachel Crothers plays – aside from three that were purchased and adapted for the screen by MGM: Let Us Be Gay, When Ladies Meet, and Susan And God. 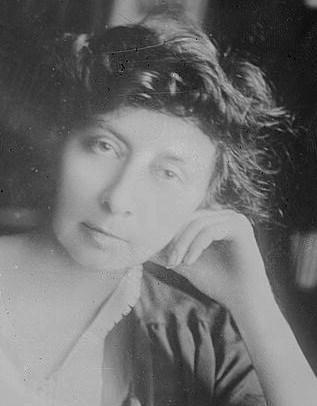 Crothers was considered one of the most prolific female playwrights of the first half of the twentieth century, and yet so little of her work is performed today. 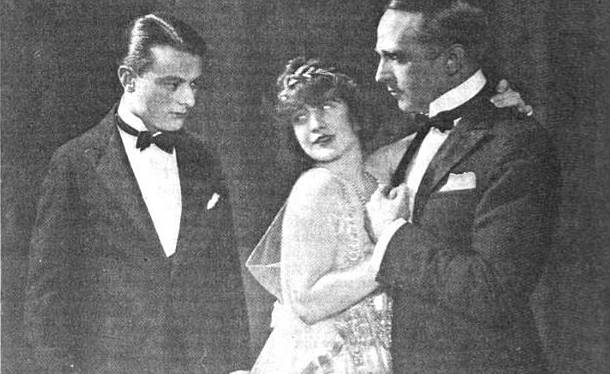 Nice People was adapted into a silent film in 1922, but it is now considered lost. To discuss my sentiments regarding the play, I think it best that I divide them by act – since my opinions changed with each section. 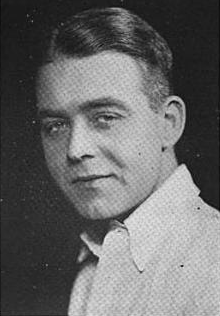 The first act begins by focusing on the six young folk – the “nice people” to which the play refers. The interplay between the characters is shockingly contemporary – not in the least archaic, as I had been expecting. Bankhead’s role is, not surprisingly, the bitchy one and it’s easy to picture her delivering those lines. The men are not as well designed as the women, and without seeing living and breathing human beings, it’s nearly impossible to grasp anything individual about them. But, as I said, in general, the dialogue sparkles. Things get even better when Ted’s aunt and father enter. Daddy is content with his daughter’s behavior and wants her to have fun, but naturally, the crotchety aunt thinks that she and all of her friends – the “nice people” – are behaving deplorably. I anticipated a beat like this – the older generation looking down at the younger generation, but I wasn’t expecting the play to be SO self-aware about the schism that had been created following the war. The play even gives the aunt a fallen son, making her a more sympathetic figure. We see these kinds of notions in contemporary films and stories that are set in the ‘20s (and are usually about as authentic as a Chinatown purse), but to actually see an issue addressed point blank in a piece OF ITS TIME is brilliantly refreshing. So then Daddy changes his tune and demands Teddy stay in. Conflict. And then she decides to go anyway – setting up lots of dramatic potential for the next two acts. But the play’s weaknesses really become exposed in the second act, and I have two major problems with the course that the show takes. 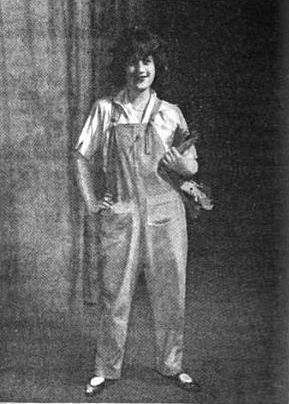 The first is the appearance of Billy Wade, the character that makes Teddy realize she can live with little money – even if she is one of the “nice people” who doesn’t know a life without it. It’s obvious in his appearance that Crothers is setting up the main love plot, but the initial scene between the two doesn’t really do the trick. As a result, the rest of the ensuing action suffers. The conflict that her dad later sets up about having to marry Scottie for spending the night with him is not a surprising one, but it’s difficult by this point to root for either Ted or her dad. He has flipped his point-of-view and thus it’s difficult to take him seriously, and Teddy herself has spent the entire act being unlikable with little humor. 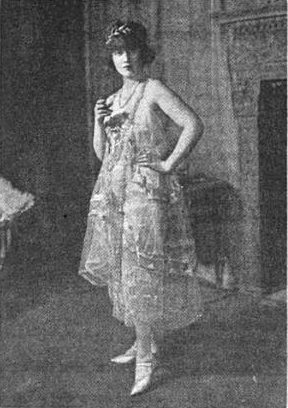 Furthermore, Margaret seems to switch places, becoming the sympathetic figure – and although she was given depth in the first act – the whole reversal seems forced. In fact, that description can be applicable to the entire second act. It becomes clear near the end that part of the play’s conflict is going to be between Teddy and the “nice people” – but since Hallie is the only one that’s as multi-dimensional as Teddy – the clash never quite works. The third act does a better job of handling conflict, and the quality of the dialogue is an improvement over the story-focused mechanics that the characters were given to say in Act Two. Two sequences in particular were quite well done – the first is when Oliver and Trevor confront Billy about his intentions regarding Ted, and then the words between Billy and Eileen (a character who doesn’t really get three-dimensionalized until this moment) about Ted’s flightiness. Most memorable, however, is the big scene between Billy and Ted where she decides to reunite with her dad because, as she admits: “I want [the money] for you. Why shouldn’t you come into my world and be somebody in it?” Billy, however, doesn’t want money, and doesn’t want to be one of the people in her world. That’s great. Good drama that’s well written. So after Ted makes up with Daddy, she rejects the cash and proposes to Billy – sans wealth. But at the conclusion of the piece I can’t help but feeling disappointed – mostly because we’re supposed to believe that this is a HAPPY ending. And I think, now that I’ve aired all of my views, I can pinpoint the problem. It goes beyond characters lacking motivation: it’s Billy and Ted and their conflict. Ted is “better than her background but still of it.” So the play is going to show us how she tries to escape who she is – and apparently she’s going to be obnoxious until she does. But the simple fact is, the play isn’t funny enough for me to want her to succeed. I want her dragged back down by the nice people. She seems to reject her world so easily in Act Three — and to appease Billy, the one who only loves her if she isn’t rich. If she’s rich, he doesn’t want her. Is this supposedly better than someone like Scottie, who loves her but ALSO WANTS her money? It just isn’t satisfying to see Ted and Billy connect. I want Teddy to go back with the nice people — not to spare Billy, but to punish him. I can see why this particular play has rarely been seen. It simply doesn’t pack enough of a punch – comedically or dramatically. Despite the flaws, if the play was memorable enough to evoke strong emotions, I would recommend this piece for reinvestigation. But, in good conscience, I cannot. Let’s face it – Nice People is only going to appeal to theatre nerds who are a fan of Crothers or of the era. If you are one of those nerds, by all means, have at it. In fact, after checking it out from the library, I discovered that it’s online here: http://www.worldcat.org/title/nice-people/oclc/183270784&referer=brief_results. If you do decide to give it a go, subscribe and comment with your thoughts! Come back next Wednesday for another Wildcard post! And tune in tomorrow as Xena Thursdays looks at her first Hercules appearances!